Last night President Obama told CNBC reporter John Harwood that he believes that he has “bent over backwards” and kept his “rhetoric down” in order to make sure that he was not central to the debate over the government shutdown. No Really! This isn’t one of those satire posts where my Cousin Ben the Spy ends up providing secret information. He really said that! 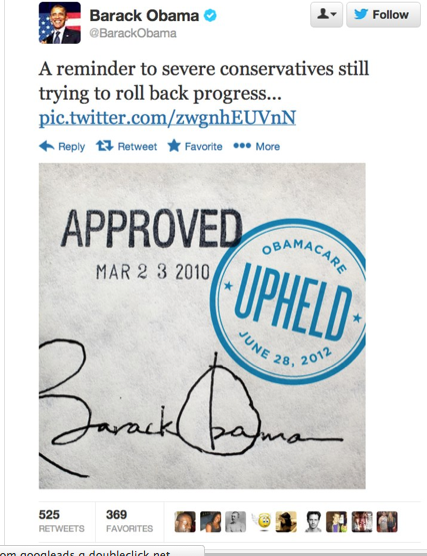 The record will show that Obama is either lying or suffering some sort of memory loss. Remember how he bent over backwards the day after the Navy shooting? private affair at a home in Palm Beach Gardens. tax cuts if you give your worker a raise,” said Obama. “That’s my plan. While most of the above quotes are recent, there are plenty more where that came from (and it doesn’t even include the nastiness coming from those who speak in his name such as David Plouffe’s recent suicide bomber statement). Since he first arrived on the national political stage this President has persistently spewed hateful comments about the GOP, the Tea Party, and anyone else who would dare to disagree with his policies. It’s hard to come up with another Commander-in-Chief who has spoken out with such venom, and as often as Barack Obama. If this is what he means by “keeping the rhetoric down,” one would hate to see would happen if he decided to get real nasty.